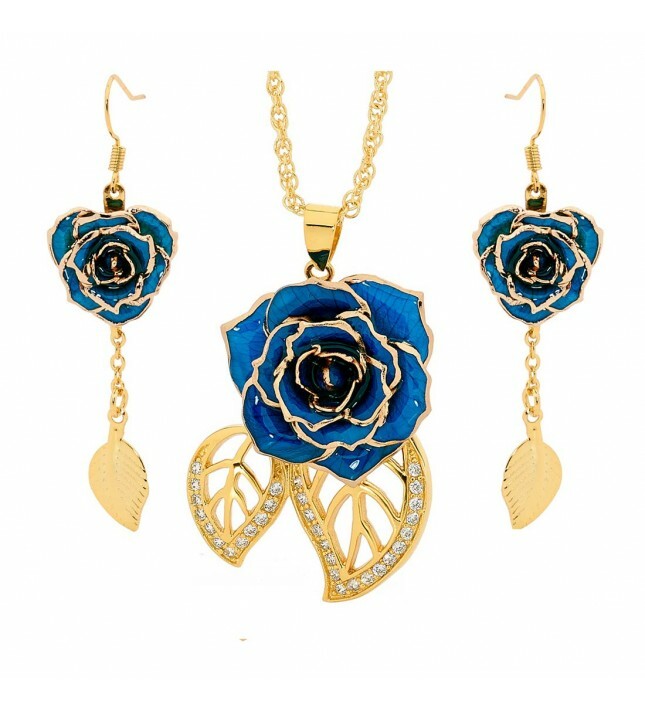 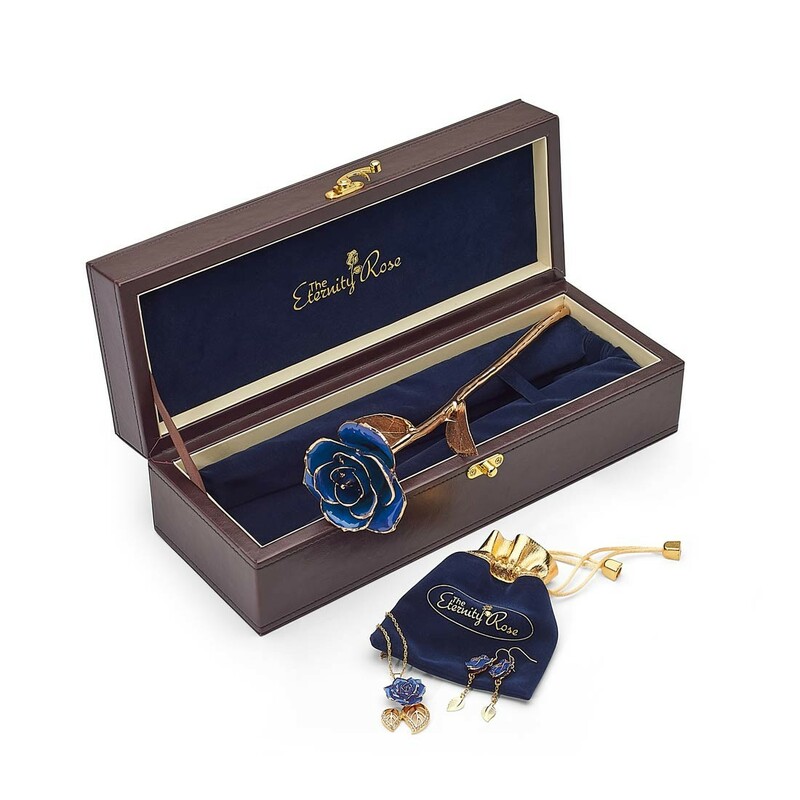 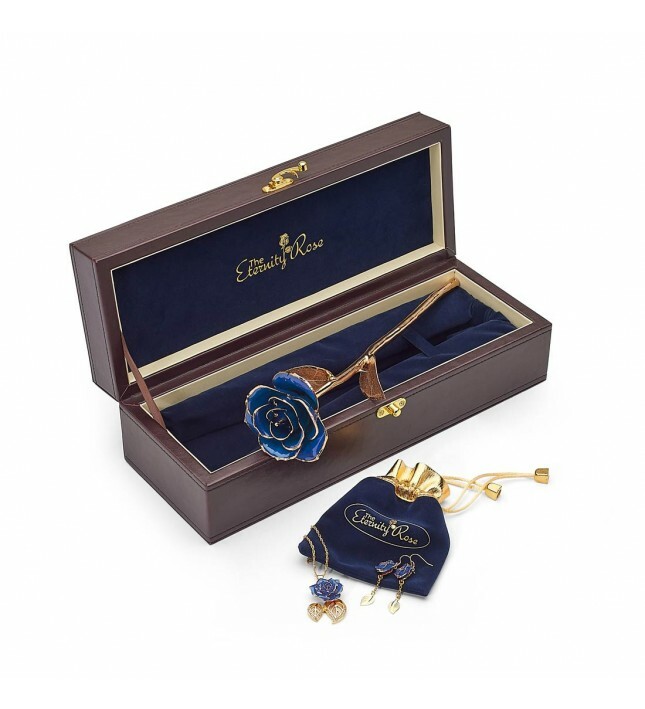 The perfect gift set which includes a gorgeous glazed rose with matching pendant and drop earrings formed from real blue miniature rose petals, trimmed with 24K gold. 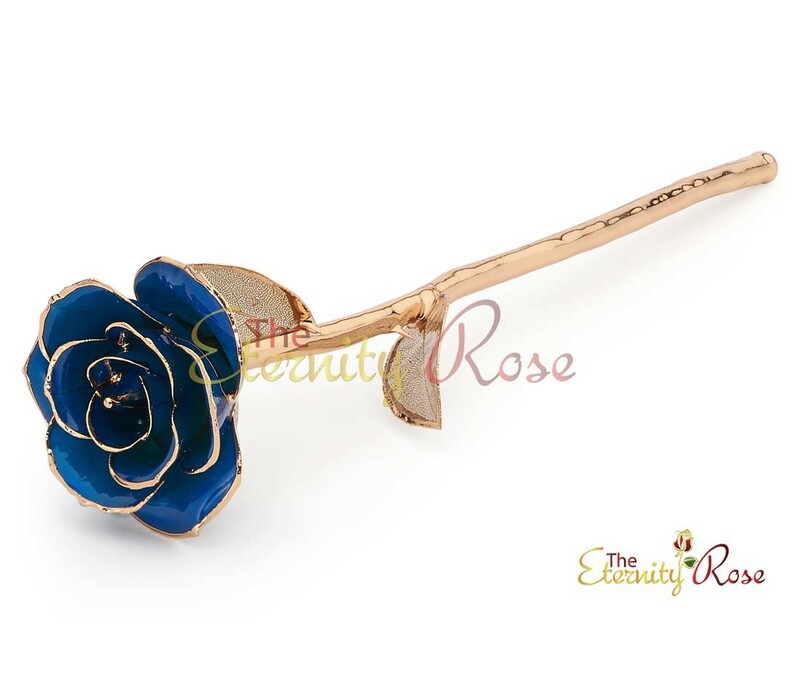 A REAL BLUE ROSE, intricately glazed and decorated with 24K gold. 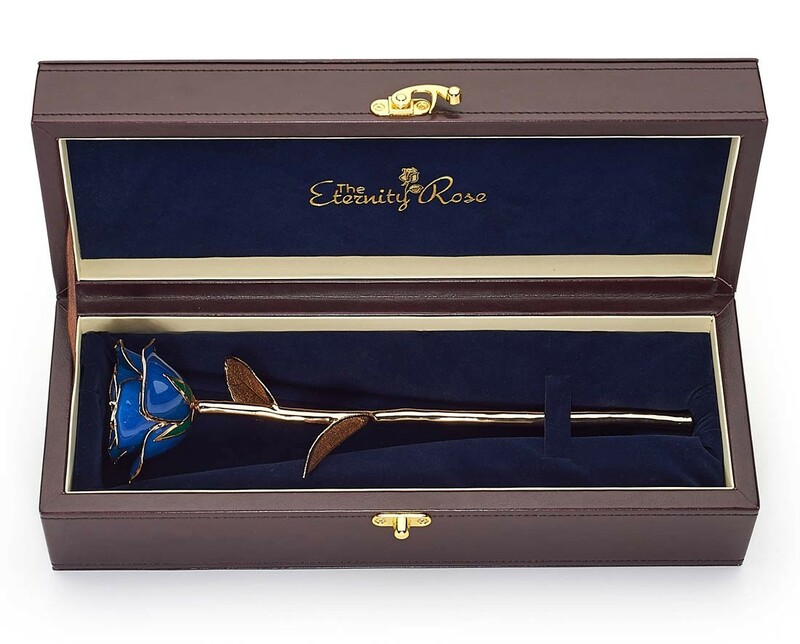 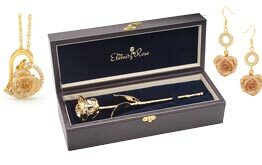 Each rose features leaves of 24K gold coating and measures approximately 12”. 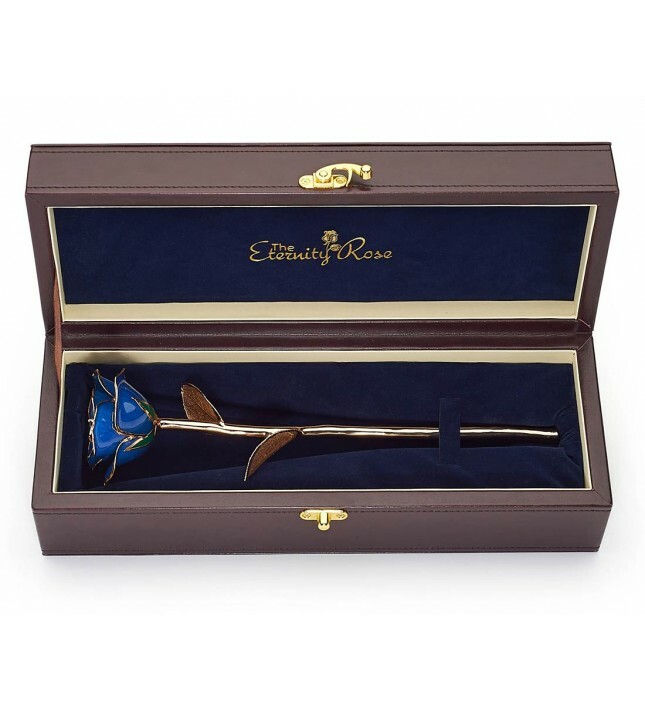 The leaves are intricately glazed. 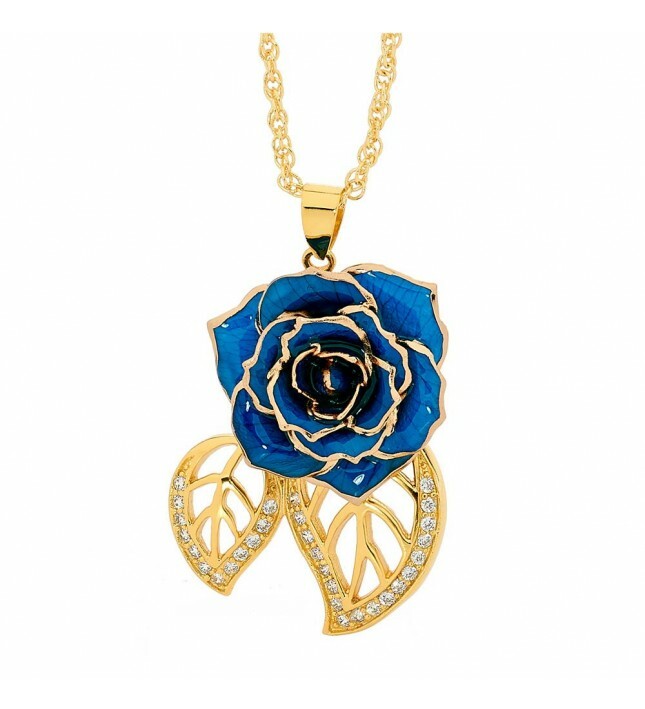 AN ELEGANT PENDANT formed from real miniature blue rose petals, intricately glazed and edged with 24K gold. 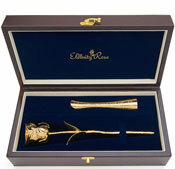 A stylish multilink chain dipped in 24K gold is supplied. 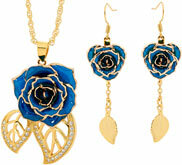 The diameter of the pendant's rose head measures approx. 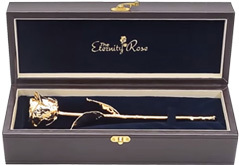 ¾”. 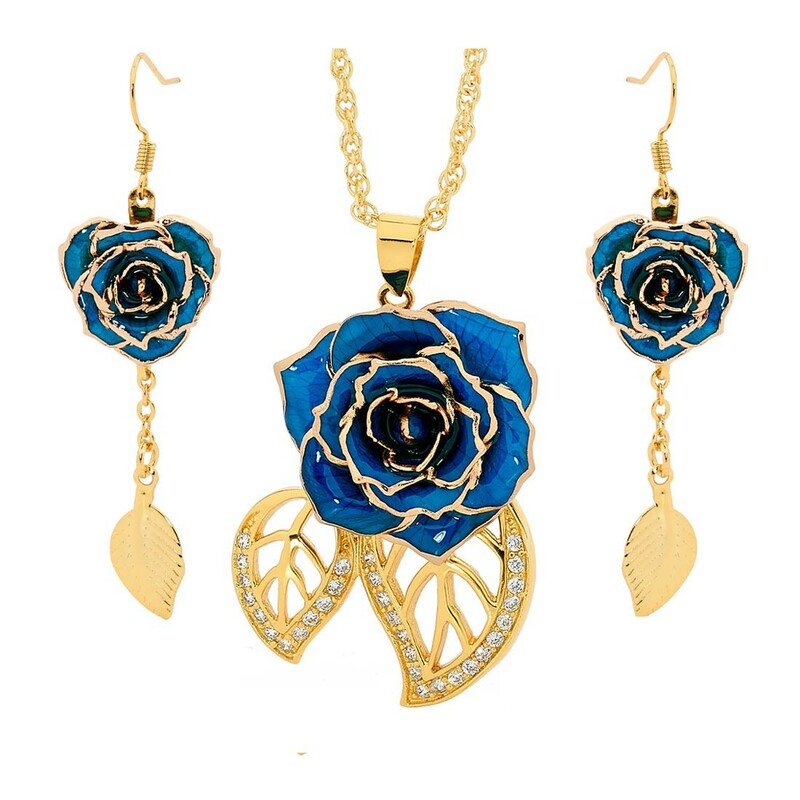 The pendant style features two 24K gold-dipped leaf figurines, decorated with 30 radiant synthetic diamonds. 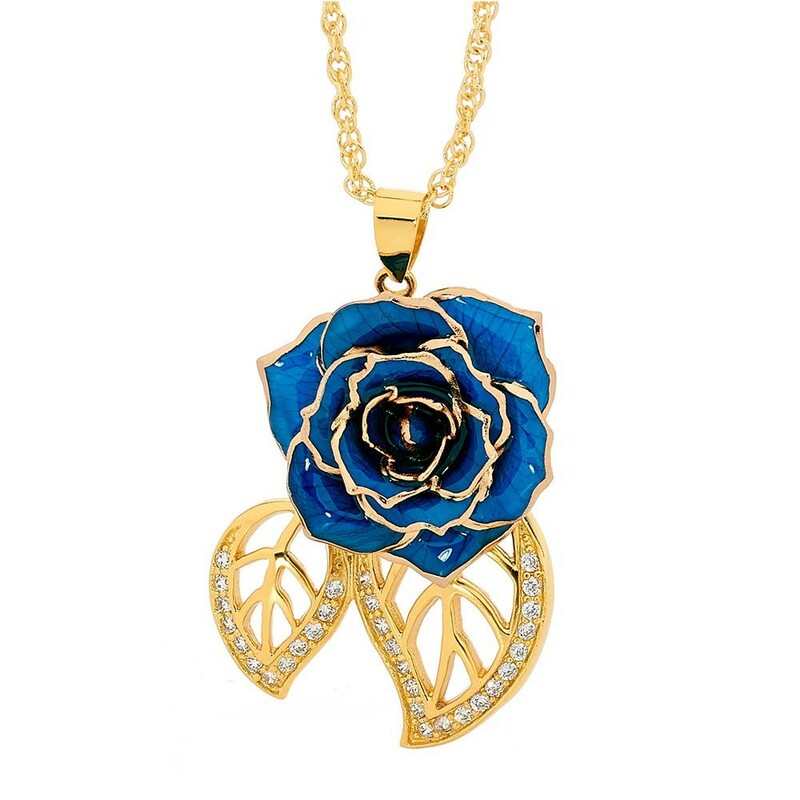 The pendant dimensions overall are 1 ½” x 1.1”. 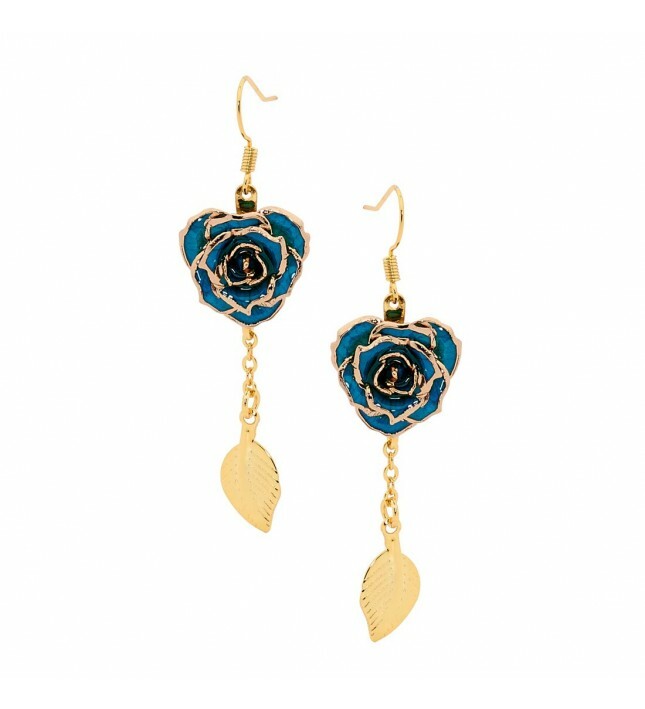 MATCHING DROP EARRINGS made with real miniature blue rose petals, beautifully glazed and edged with 24K gold. 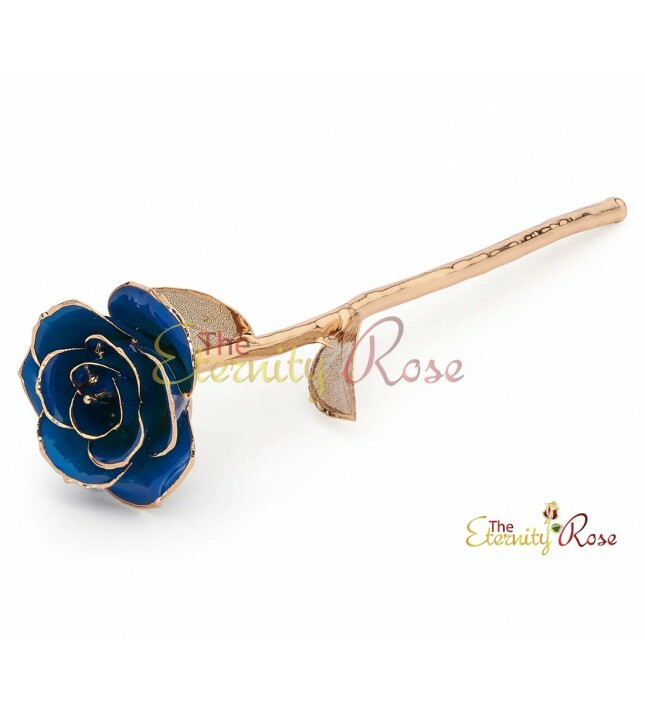 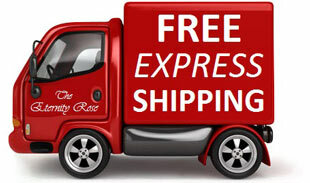 Each miniature rose head diameter is approximately 5/8”. 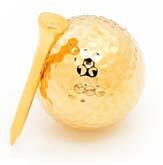 The earring drops are approximately 1 1/4” in length and feature a gold leaf-shaped figurine.